Inspired by traditional barns in the farmlands of the United States and Canada, the Heartland Model depicts a time-honored barn style we all relate to with the gambrel double pitch roof. 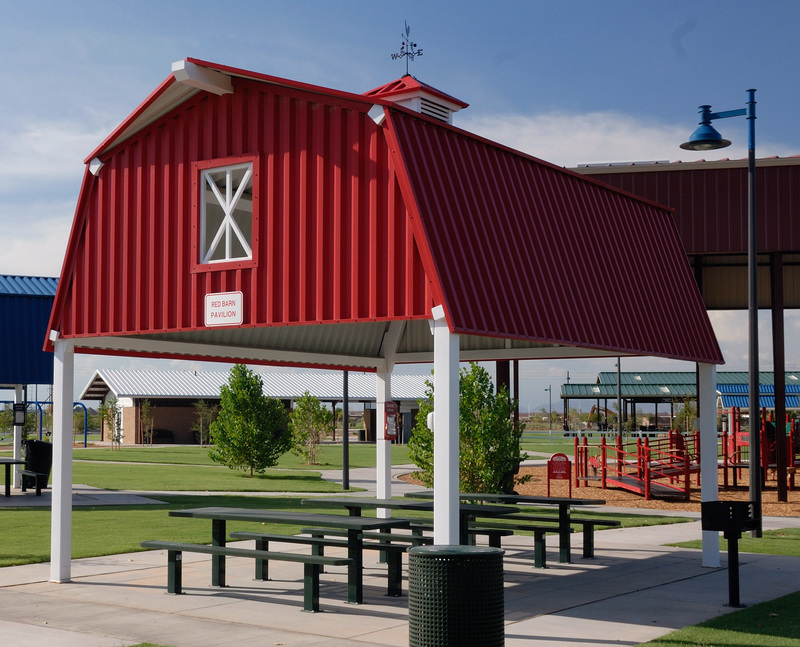 Those of you lucky enough to be raised on a farm will have your senses stimulated to remember all the activity and sounds associated with the large barns of Americana. By specifying this model a person will evoke those good memories of the smell of hay, and the lowing of the cows as they are ready to be milked. 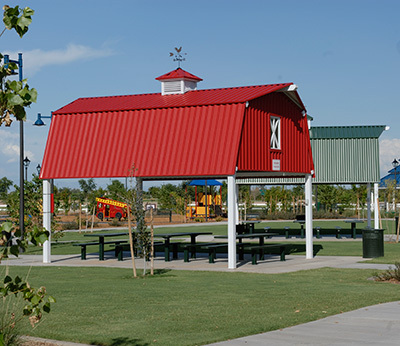 Above are Heartland models at Tumbleweed Park in Chandler, AZ, 16′ x 21′ 24 ga HR-36 steel roofs with cupola’s and provision for weathervanes.